This year the children are able to spend the Dojo points they collect in the Dojo shop. There are lots of things to chose from, and the children are learning how to 'save' for things they really want, as different rewards have different Dojo values. From the lucky dip for 10 Dojos, to a Trust Pass for 150 Dojos, there is something for everyone! 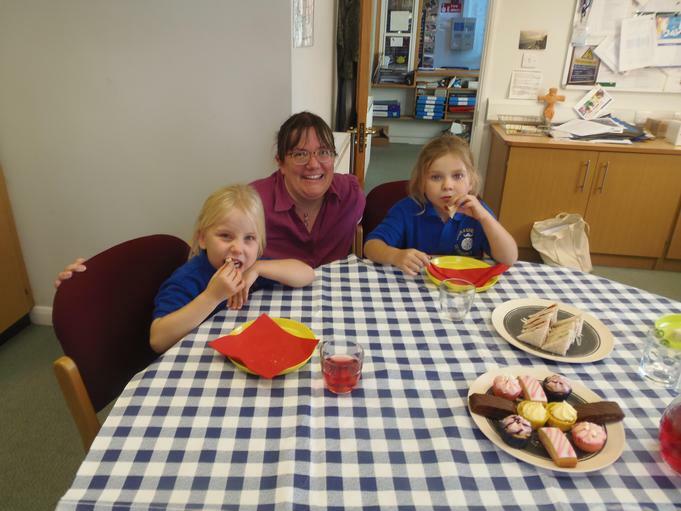 Below is a picture of two children who opted to have afternoon tea with the headteacher. Lots of cake and cucumber sandwiches were eaten, and copious amounts of squash were drunk!